Indigo dye-sessions! 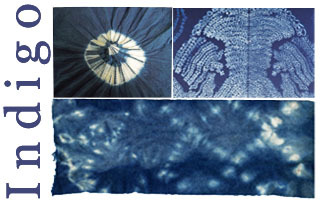 Indigo is the perfect, natural UP-cycle dye! Bring your own Fibres & Bring a Friend! L’indigo est parfait pour le haut-cycler des vetements & fibres & tissues! Teintez Les Ensembles! Dye it Together!! DIT!!! When: Pick your evening session(s)! Choisez votre ateliers! contact Valérie indigo.val@espacefibre.com to reserve now! Or Daytime possibilities!? ou dans le journee!? Cadeaux possibilités! nous avons les coton 1-sies pour bébe (bio!)! pret pour dessiner & teinter! *DIT gift idea! we have a number of organic cotton baby onesies which can be purchased & are ready for you to make your own custom designs & then do your indigo dyeing! Ces ateliers 1-of-a-kind vous permettra d’apprendre à préparer vos propres fibres pour la teinture indigo dans une cuve de teinture de réduction naturel! These one-of-a-kind workshops will allow you to learn how to prepare your own fibres for indigo dyeing in an organic natural reduction dye vat! Create simple Shibori-zome (hand-shaped resist, plangi..) patterns, dip in a 100% indigo dye bath, and then finish fibres as you wish! Unique! Enviro-friendly!! Sustainable!! Always Lovely!! Créer des motifs de shibori simples, fait à la main! L’experience d’une cuve d’indigo organique belle & unique!